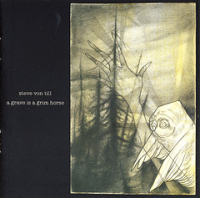 The first noticeable item about Steve Von Till is his voice. Coming in as a younger version Tom Waits, Von Till’s vocals are low and grate-y; the voice is perfect for the electric, minimalistic folk he creates—though his image is one of a hefty metal band. 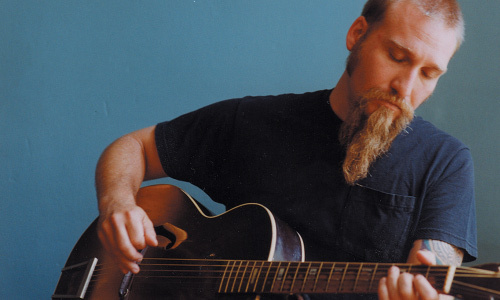 Yes, one look at Von Till and you get the distinct impression that he, with the massive goatee and thick sideburns, would be more fit for a powerful metal band. The contradiction is, at least initially, startling—that is, until you learn that Von Till actually comes from such a band: Neurosis. Still, his solo work is surprisingly down-to-earth. Opening with the title track, Von Till immediately proves his lyrical songwriting abilities, and he also comes through as a skilled guitarist. The minimalist nature of A Grave Is A Grim Horse, unlike typical minimal artists, is packed with instruments and is more often orchestrated than not. Von Till pays extraordinary attention to detail—each note is intricately and carefully placed, each instrument, from strings to guitars, scrutinized until perfection is achieved. The result is a tight release and this is all apparent before hitting the one third mark. And it continues through closing tune “Gravity” just as you’d expect: without flaw.